At the beginning of a relationship, it is pretty common to keep scorecards. But when the relationship becomes exclusive and it is clear that you are a couple, what happens if one partner or both continue to keep scorecards? 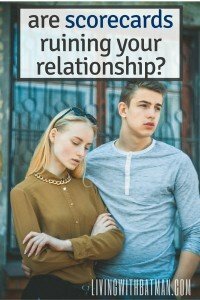 Can it ruin a relationship? I can honestly say that one of the reasons that my first marriage failed, was because of me always mentally keeping track of what I did and what he did, especially when it came to the household duties. It was really hard for me not to keep score and track all of the things that I did, like the laundry, clean the bathrooms, vacuum all the floors, make all the meals, wash the dishes, etc. And what is worse is that I wanted everyone to know it. It’s not necessarily that I wanted help with all those things but I needed everyone to know I did it, notice I did it, appreciate I did it and praise I did it. That’s all. And eventually the score keeping went well beyond that. Sounds pretty shallow doesn’t it? But it happens. It actually creeps up on you. You don’t realize you are doing it till it is totally consuming all of your thoughts. 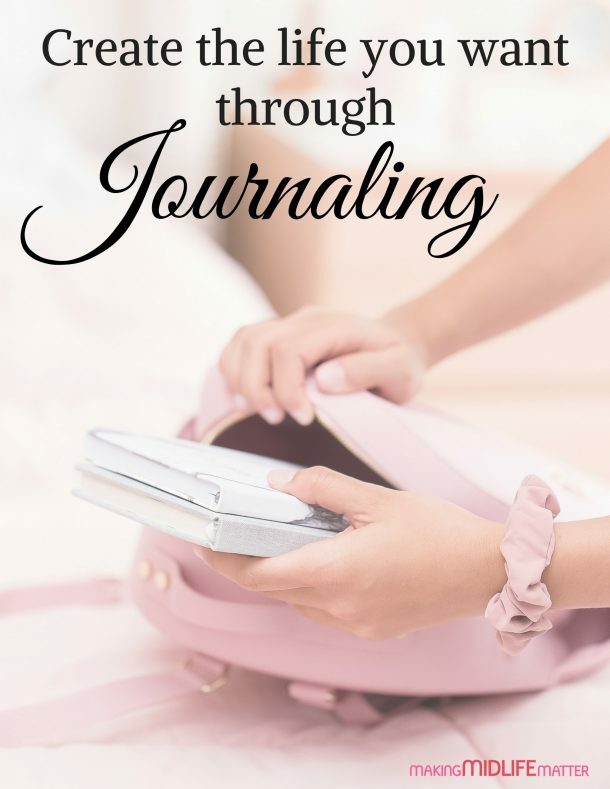 Was keeping scorecards the reason for my marriage breaking up? Probably to some extent but I also know that we were clearly not meant for each other either. And believe me, he kept as many scorecards as I did. It took me a while in my second marriage to figure out that I had a problem. Essentially, keeping scorecards made my relationships like a competition. In a marriage, this means nobody wins. It’s no secret that my current husband has bipolar. There have been a few times in our relationship, when he was really ill. During those times everything fell on my shoulders, working, paying bills, child rearing, his medical treatment, the house, the car, extended family, EVERYTHING. It was really hard but he eventually got better and things returned to normal. This cycle, at first, made me really resentful. When he was well, I constantly reminded him of everything I did when he was sick. It was like I was poking him with a stick. The good times were never good times because I never let them be. I don’t know if it was immaturity or having to deal with an illness so soon into our relationship that made me do this. After his second relapse and stabilization, something clicked. I could see in his eyes and hear in his voice how sorry he was and how guilty he felt. I felt awful for making him feel bad for something that was totally out of his control. I can see everyday that he works hard on his stability. Why was I cheating myself from embracing the good times? It was then that I decided to leave the past in the past. And I have to say that our relationship has grown exponentially because of it and it probably contributes to the fact that he hasn’t had any relapses since. If you are finding yourself always keeping score in your relationship, ask yourself why. If you truly believe that you have found the “one”, you need to make a strong effort to stop. 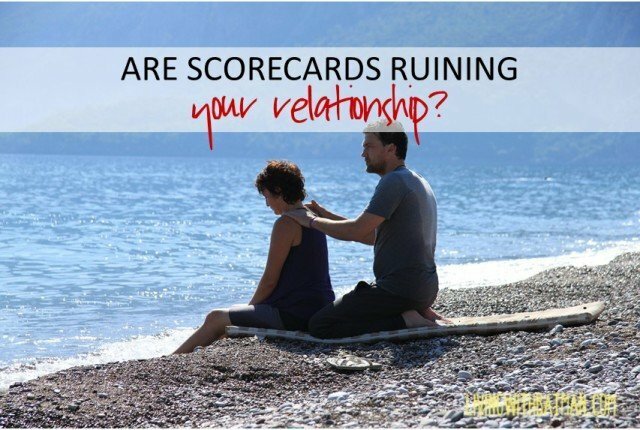 Scorecards make you resentful and your partner feel like they are never good enough. Have you ever kept scorecards in a relationship? How did you learn how to stop?